Around 1.2 billion people do not have access to electricity in the world and they forced to live in the dark. Renewable energy could eliminate the energy poverty that can be a common feature of remote regions, by allowing isolated communities to produce their own energy instead of importing expensive conventional fuels. 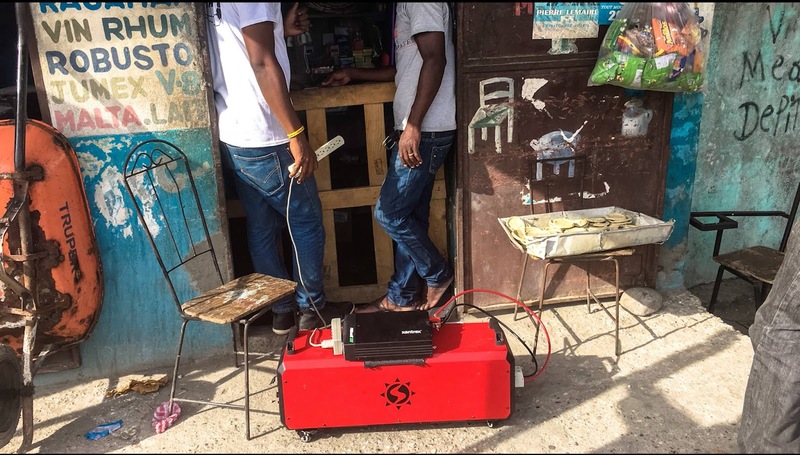 A social start-up and an off-grid solar energy company, Solévolt brings cheer to many people’s face live in the remote regions of the developing countries. 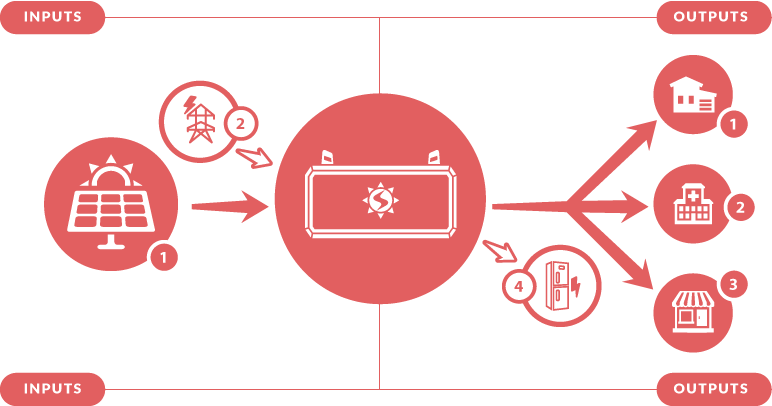 It has a mission of increasing energy autonomy, contributing to the socioeconomic development, promoting energy efficiency and reducing carbon emissions. 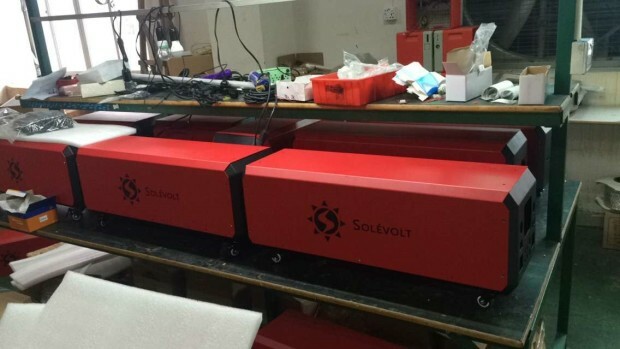 Their larger solar energy system, Solévolt Enterprise is plug-and-play, portable, easy-to-use modular solar energy generation and storage system that weights only 20 kg (44 lbs). It is suitable for off-grid small homes, camping; RVs and backup power that enough to power household appliances such as refrigerators and TVs. It also charges all your electronic gadgets. 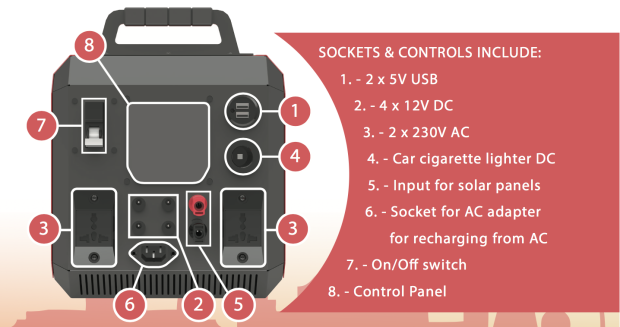 The ‘Powerbox’ includes 1.2 kWh Li-ion battery that is expandable to 2.4 kWh, 1000W inverter, MPPT charge controller, USB, AC, DC and other sockets. It sized at 775x245x255mm. You can charge the battery from the AC adapter or solar panels that have integrated MC4 sockets. Bradley Mellicker, CEO of the company, is a US-trained attorney with over 10 years of experience with the UN, inspired to set up an off-grid solar energy company following his experienced supporting crisis-affected in the Caribbean, West Africa, and Southeast Asia. The seed of the company was planted in Haiti during 2010 earthquake, the communities living in the remote areas lacked access to affordable energy and facing difficulties in fighting the natural calamities. 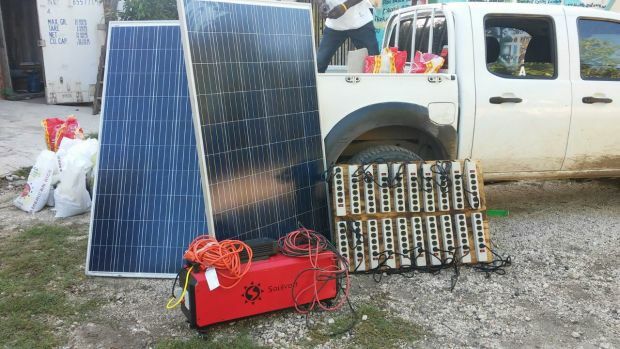 Recently, Solévolt sent one of its solar systems to communities in southern Haiti, where electricity infrastructure had been destroyed after the devastation caused by Hurricane Matthew in October 2016. 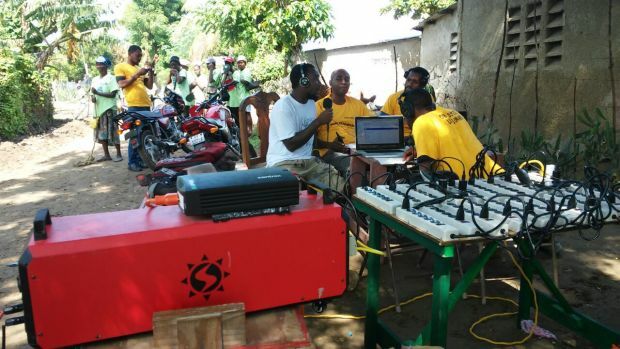 Solévolt’s initiative has resulted in hundreds of people could able to power their phones and contact their families. The positive thoughts and action are needed to uplift the people's lifestyle and tackle the situation during the natural disasters. Hat's off to Solévolt for its mission and implementation of the renewable energy systems to off-grid remote areas in the world.